That’s true! Actually, studies have proven that playing a musical instrument improves performance in school. So, if you’re gonna play in the band, you might as well play the trumpet – the leader of the band. Every musician’s first instrument is special to them. I know when I picked up my first trumpet, an incredibly beat-up Bundy, I didn’t care how worn it looked, because it was mine. A players first instrument sets the tone for their whole playing career, therefore, it is imperative to make the correct decision on what to get for your beginning player. Don’t worry, though, it’s not that challenging, even if you’re not sure where to start. Why? Because our blog has the answers to help get you started! Student level trumpets are built to provide 2 primary benefits; be durable, and easy to play. These two features are of paramount importance. A trumpet that is durable will help prevent, or minimize, “accidents” that can occur during the early learning stages. A trumpet that is easier to play can have a significant positive impact for younger players when it comes to creating an initial sound, with the least amount of difficulty. Any reputable brand name trumpet will provide this important feature. As detailed in our “Band & Orchestra: Rent or Buy?” blog, we have several Rent-to-own options to consider, which is where most customers begin their musical journey. We like to say that a student trumpet has training wheels, and a Performance-level trumpet does not. So, while you can do more things on a Performance trumpet, you need to know how to ride the bike first. A Performance trumpet has less resistance and more hand made components - both of which increase resonance and tonal quality. An experienced player will be able to maximize the value of these features. 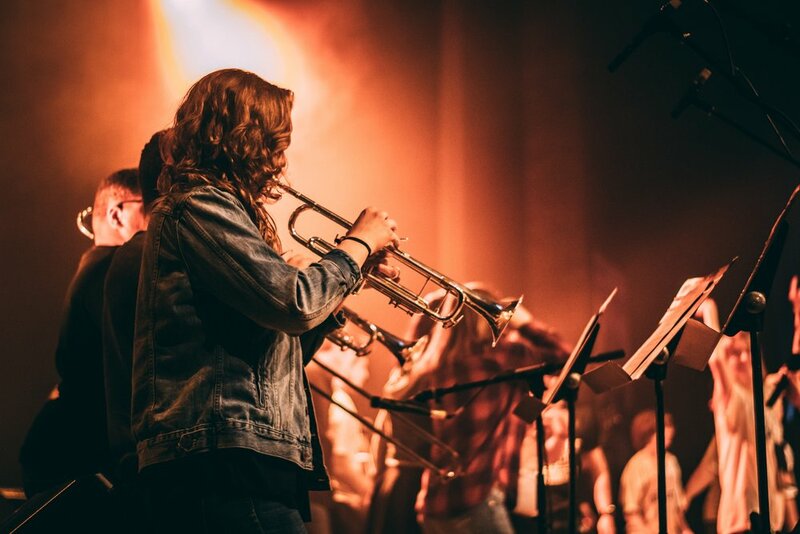 For this reason, we typically recommend considering a Performance trumpet once the student is ready, and can take advantage of these features. I think I’m ready! What’s next? When you think you’re ready to consider a Performance trumpet, it’s time to take a test ride. We recommend that you play some different trumpet brands and models to get a feel for what is best for you. Every player has their preferences; are you a jazz or classical player? Dark or bright tone? Extra projection or a more balanced tone? These are just some of the considerations on a Performance trumpet. Although this might seem overwhelming at first, we assure you that we have the experience and commitment to help you determine what’s right for you. After 47 years of serving local trumpet players, we’ve learned that once you know, you know. The world of trumpets is deep and wide, and we have the knowledge and experience to help you take the next steps on your musical journey. So, take it from me, Ross Halley, if you only get one thing from this blog, it should be…. Playing trumpet is a LOT OF FUN!! !